How can Cognitive-Behavioural Therapy help you? Cognitive-Behavioural Therapy (CBT) aims to help you gain a perspective about whatever is troubling you. Together we identify what might be stopping you from reaching your full potential and what action you need to take to change your situation. 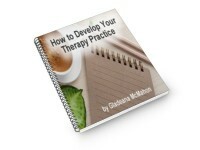 Therapists look beyond presenting problems to possible underlying causes. The aim of CBT is to help you change your behaviour to that which is more productive for you. The process helps you move towards becoming the kind of person you want to be with attaining the types of outcomes you desire. There are many different models of counselling to choose from. We do not believe there is one model that helps everyone as each person is an individual and what might suit one person may not necessarily suit another. However, we offer Cognitive-Behavioural Therapy. We aim to be sensitive to the cultural and ethnic origins of individuals and to people’s religious beliefs and sexual orientation. We operate our practice along the lines normally associated with an equal opportunities employer. The trust between client and Therapist is crucial to the success of the process and we treat all information disclosed as confidential. Any details a Supervisor receives are also treated as confidential and we do not disclose client details to a third party without the client’s permission. However, if in our opinion a client is a danger to him/herself or to others we do reserve the right to inform appropriate agencies. It is our practice, wherever possible, to inform the client first. 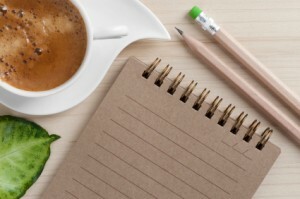 We keep brief notes following each session that you are entitled to see if you so wish. “After 23 years working in the corporate arena, I began to suffer work related stress and was later diagnosed with depression. I struggled to come to terms with this, hence when I was referred to Gladeana for CBT, I was still somewhat in denial about my condition. Gladeana however was superb. Not only does she obviously have a wealth of knowledge and expertise combined with the tools and experience to be able to effectively bring about positive change but she also possesses the rare human element of being able to genuinely connect to you as a person. Her style is to understand you as an individual, and you never feel her sessions are done by rote. She is incredibly focused on enabling you to become the best person you can be. An exceptional therapist and one I would highly recommend.” F.H. We offer prospective clients an Assessment Interview. This provides both parties with an opportunity to consider whether they wish to work together. It is just as important that you feel comfortable with your therapist, as it is that he or she feels able to work with you. At the end of the first session we would arrange to meet for an agreed number of sessions. Our Associates have experience of working in a variety of sectors as Cognitive-Behavioural Therapists holding a range of qualifications in Psychology and Counselling. All Associates engage in Continued Professional Development on an annual basis. British Association for Behavioural and Cognitive Psychotherapies (BABCP).